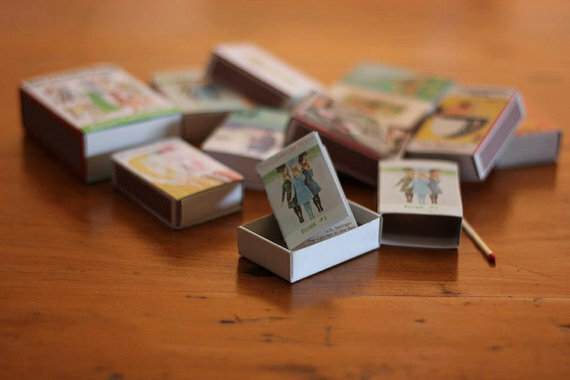 "If you are getting tired of the magazine titles on the newsstand, you may want to check out “Zine-in-a-Matchbox”, a miniature magazine that fits into a matchbox. The brainchild of Brisbane, Australia-based designer Pascalle Burton of The Lavender Room, this quirky, award-nominated magazine is now at its 12th issue. Each issue consists of a standard set of content, including quotes from celebrated author J.D Salinger and scaled down images of vintage books the Burton has found in second-hand bookshops. To make this publication even more irreverent, every issue comes with a single matchstick, which the reader can use to set it on fire after they are done with it. "